Vehicle accidents occur all the time. The injuries from a collision can be life-changing. Victims of collisions may be entitled to compensation for their injuries, medical expenses, lost wages, and other costs associated with the accident. Even if you have been told there is no automobile insurance, we will investigate your claim thoroughly, leaving no stone unturned. 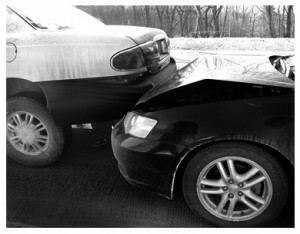 We will look to all potential sources of recovery for your damages. With automobile accident cases, we do not charge a fee unless we are able to make a recovery for you. For more information about what your next step should be after an automobile accident (including trucking, motor vehicle, motorcycle, bicycle, ATV, pedestrian cases), please call us at 314-549-5999 for a free initial case consultation. Copyright © 2019 Burkett Law Firm, LLC. Disclaimer: The Burkett Law Firm, L.L.C provides the information on this web site as a service. The information on this site is not intended as legal advice. It is strictly provided as an information source. Due to the rapidly changing nature of the law, we make no warranty or guarantee concerning the accuracy or reliability of the content at this site or at other sites to which we link. Every case is different and must be evaluated based on its particular facts. The choice of a lawyer is an important decision and should not be based solely on advertisements.